Styled with conan pant - tall . 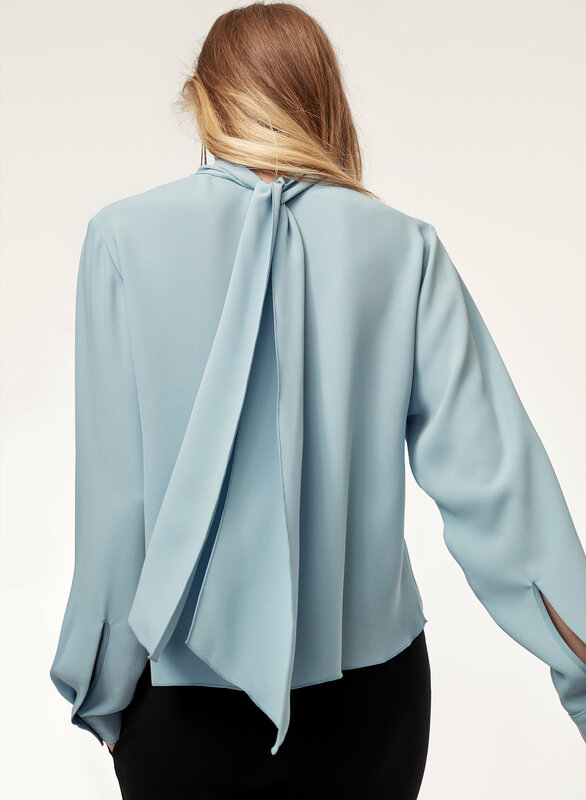 This blouse is made with a fluid fabric that looks polished from every angle. 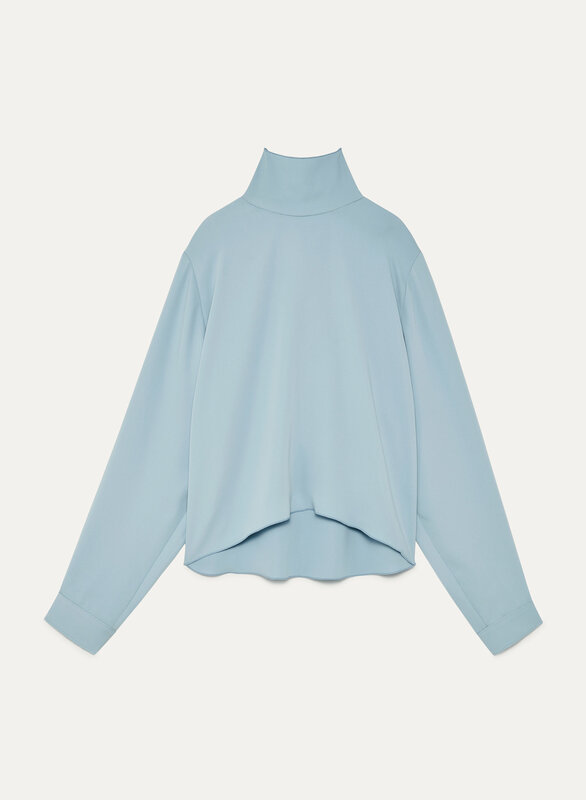 The mock neck looks chic from the front, and the self-tie at the back complements the curved hem. In a word? Flattering. Very nice with a long skirt, professional look! Love the fit and fabric choose one size down, it’s a loose fit, the bow is a nice touch in the back. Can be tied different ways. Amazing blouse! Goes with everything! I love this blouse, and have received many compliments on it. The best part is that it is easy to care for too.